Christmas is definitely our favourite time of the year in the office. But the Grinch has arrived to ruin everyone’s Christmas plans and beat you in our fantastic Grab the Grinch challenge. Your job is to spread the Christmas spirit by capturing the miserable Grinch. Foil the Grinch’s plans using teamwork, organisation and communication in this fantastic Christmas Event. 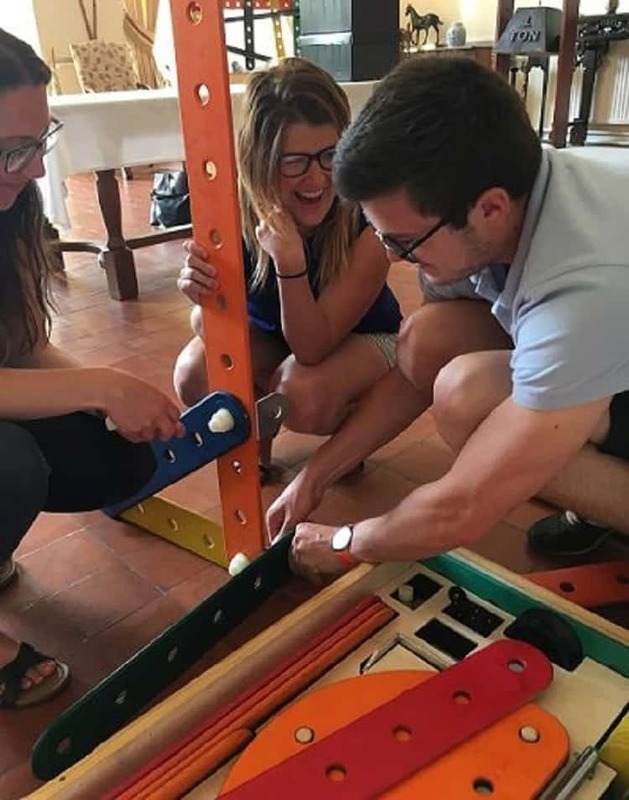 Similar to the nations famous board game ‘Mouse Trap,’ this challenge will draw on the same principles and attributes needed to overcome this teambuilding event. The aim of this game is to create a hypnotising chain reaction with the tools provided. Teams will need to use their initiative to create a sequence using wooden cogs and rope. Connecting all the pieces together, teams will then come together and connect all their connections and trigger the release. But the question is, will it all be in the correct sequence or will the Grinch get away and ruin Christmas? 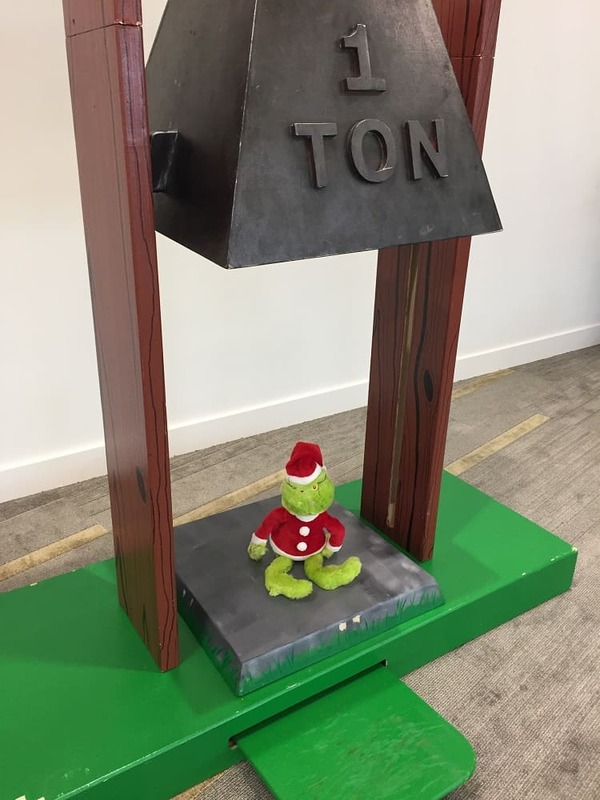 If the team correctly pieces together the sequence, the one ton weight will drop and eliminate the Grinch! If not, he lives to fight another day and Christmas will be miserable. This event is perfect for teams that want to get into the festive spirit whilst enhancing their leadership and communication skills. This event focusses on the bigger picture as the smaller teams need to work together for the final product to work. 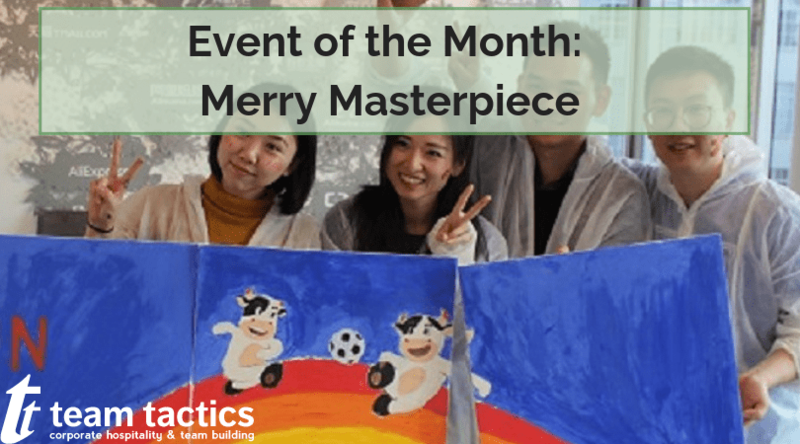 We absolutely love this event because the room fills with festive excitement before the final masterpiece is constructed. So, are you ready to take on the Grinch this Christmas? We need your help to defeat the Grinch once and for all. If this interests you then check out our Grab the Grinch page or Contact Us to find out more information. 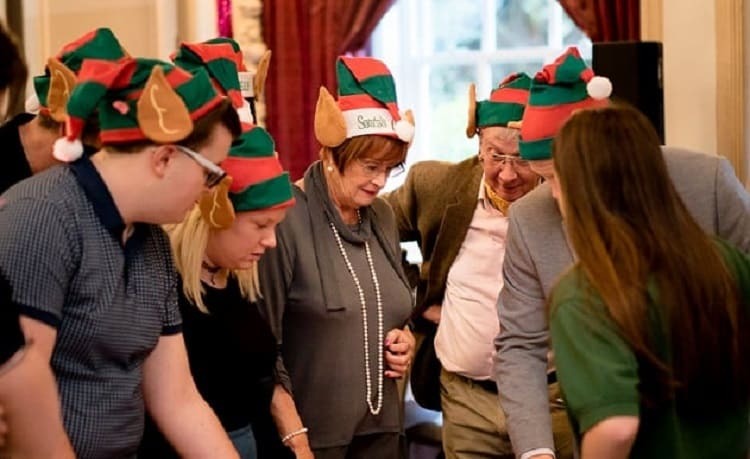 We also have many other exciting Christmas events which can be found on our Christmas Party Events page.